The life of a midwife is the only life that Gracy knows. Trained at a young age, she grew to cherish her part in bringing new life into the world and is now a gifted and important resource for the women in her small Colorado mining town. Gracy is known for the compassion she brings to new mothers and their babies, and each loss, child or mother, haunts her. When she gets called by a prominent family to check on a baby that she hasn’t even birthed, she attends to the newborn and ignores the feeling that something is not quite right in the household. Later that day, the baby is found dead, and the evidence points to Gracy as the killer. The town becomes split on whether Gracy is guilty or innocent, and those who support the baby’s family want her to hang. However, Gracy is the keeper of many town secrets and knows more than she should. Invited into her neighbors’ homes during their most intimate times, she can’t help what she sees or hears. A woman sometimes says things in the birthing bed, when life and death seem suspended within the same moment. Gracy has always kept those revelations secret, even the confessions that cast shadows on her heart. With a trial looming, however, Gracy must decide whether it’s worth risking everything to prove her innocence. 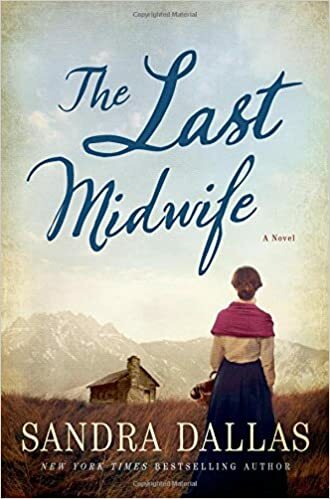 Filled with rich period detail and compelling characters, and with a suspenseful twist at the end, THE LAST MIDWIFE is certain to captivate Dallas’ legion of fans and garner her many new ones. Sandra Dallas is the New York Times bestselling author of twelve novels, including True Sisters, Prayers for Sale, and A Quilt for Christmas. She is one of today’s most popular women’s historical fiction writers and is a favorite of book clubs across the country. I have a midwife birth all three of my babies so I was really intrigued and interested to read this book about midwives many years ago! This book was filled with interesting period facts about midwives, how they were viewed once educated doctors came on the scene and how their roles evolved. It also was filled with intrigue, mystery and suspense. I have enjoyed Sandra Dallas and her other books and I enjoyed this one too!